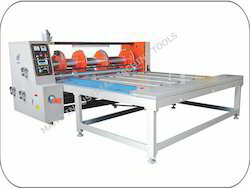 Adopts exported cambered saw-tooth knife making the die-cutting surface smooth and without burr. The gap between the cushion roll and the knife mold roll is adjusted by hand pneumatic adjusting the soft roll to go up and down. 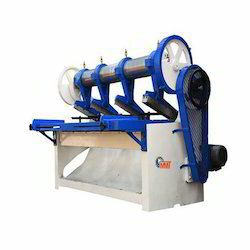 The cushion roll adopts mechanical cam path longitudinal moving (40 mm) structure. The whole machine adopts Oldham coupling structure and oil-spraying lubrication with steady dire and prolonged gear service life. Electric adjustment for die-cutting phase with the scale showing the date. 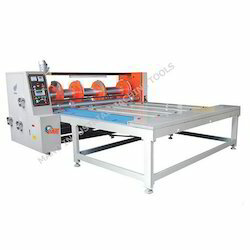 Adopts exported cambered saw-tooth knife making die-cutting surface smooth and without burr. The gap between the cushion roll and the knife mould roll is adjusted by hand pneumatic adjusting the soft roll to go up and down.